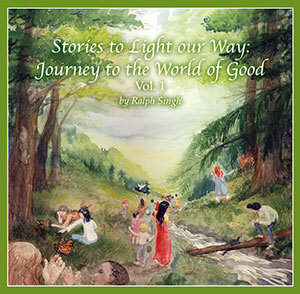 Announcing the release of Stories to Light our Way, Jouney to the World of Good. 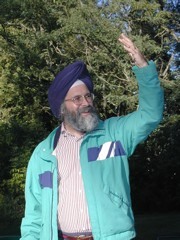 This professionally produced audio CD complete with music and sound effects contains stories from the world's traditions and cultures, specially written or adapted for children by Ralph Singh. There are 11 stories told from the perspective of a child or an animal, which teach a particular value or reinforce a particular character trait, and encourage spiritual growth. Ideal for both families and educators, and use in public forums. Visit my Stories to Light Our Way Home Page for samples and purchase information. I was trying to focus my automatic camera on the bird feeder but the beautiful red sand cherry in the background kept grabbing the attention. Its tiny pink blossoms some 25 yards away were sharp and clear while the birds, only 10 feet away, were a blur. I called out to my son - "I have to ask a pro why I can't focus on the close-ups. The background seems to always pull the lens away."